Skid Row, the legendary heavy metal and hard rock band formed in 1987, will be playing the Legendary Buffalo Chip during the Largest Music Festival in Motorcycling, on Friday, Aug. 10. Skid Row was born in a garage in Toms River, N.J. and created a name for themselves in the club circuit, often packing houses during parties that they played at. 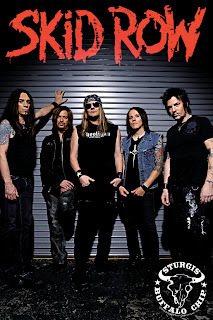 Skid Row is comprised of Johnny Solinger on lead vocals, Rachel Bolan on bass and backing vocals, Snake Sabo on guitar and backing vocals, Scotti Hill on guitar and backing vocals and Rob Hammersmith on drums. In 1989, Skid Row released their debut album, which sold more than 5 million copies and projected them onto a worldwide tour. The band released their second album, “Slave to the Grind,” in 1992 which made them the first heavy metal/hard rock band to debut at number one on the Billboard charts. 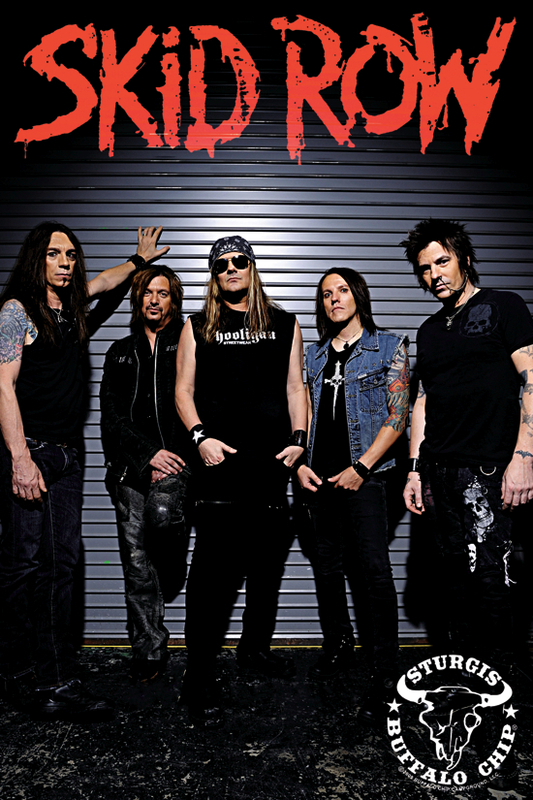 The band’s relationships were strained in 1995, threatening the end of Skid Row, but the band went into the studio and recorded what they thought would be the last album, “Subhuman Race.” The band parted ways soon after until 1999, when the band got back together with the addition of Johnny Solinger. They then landed the opening slot on the KISS “Farewell Tour” in 2000. “Thickskin” was released in 2003 and in 2006 they put the final touches on their CD “Revolutions Per Minute and released it on SPV Records. 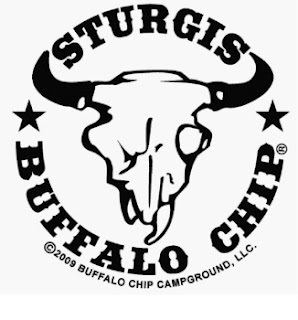 Buffalo Chip party-goers can expect to hear hits like Slave to the Grind and others at this summer’s Buffalo Chip music festival. Skid Row is a welcomed addition to the growing concert lineup to hit the stage at the Legendary Buffalo Chip on Aug. 10. Make your reservations now to see the biggest concert lineup for the Sturgis motorcycle rally and stay at the Best Party Anywhere™!